CBD and sleep apnea are a common disorders that causes short or long pauses in breathing while a person is sleeping. While many perceive sleep apnea to be a harmless inconvenience that causes tiredness during the day, there are several more serious side effects that can occur when sleep apnea remains untreated long-term. 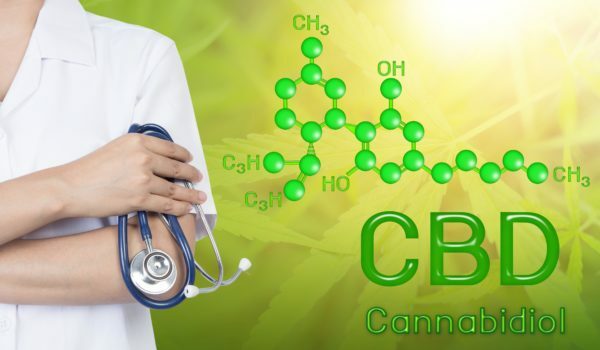 In this post, I’m going to dive into the question of cannabidiol, also known as CBD, for sleep apnea, and tell you about how I found a solution for my spouse’s sleep apnea. To avoid the long-and short-term negative impact of sleep apnea, research all of your options to find the best solution for you. Be sure to consult with your doctor before trying any new medical treatment. Recently, I was on a mad search for something to cure my spouse of his sleep apnea. It not only kept him awake at night, but his thunderous snoring fest every single night guaranteed that I, too, would be tired the next day. My sleep was limited, my nerves frayed and my moods wavered like a pendulum. I knew this wasn’t any fault of his; however, I needed a solution. Doctors suggested a mask-like apparatus that wasn’t really something my spouse could see himself using each and every night for the rest of his life. We continued to search for alternative solutions for his sleep apnea. I spent my sleepless nights scouring the Internet to find a natural remedy for sleep apnea. I felt that organic, natural and herbal solutions were the best route to follow, and found several options. Previously, I had read about the health benefits of hemp oil for a variety of illnesses and ailments, from sleeping problems to terminal cancer, but didn’t quite understand the full extent of possibilities. Then I found it – the key to a good night’s sleep for both myself and my spouse. CBD for sleep apnea, in the form of CBD oil from American Hemp Oil, helped both my husband and me get better sleep at night. A common misconception is that CBD oil is the same thing as cannabis oil. Cannabis oil is a form of medical marijuana, which is a legal form of medical treatment in some states. CBD, on the other hand, is legal in all 50 states. However, there are stricter regulations in some states. For more information, read: 50 States: Is CBD Oil Legal to Purchase? While cannabis oil has the same health benefits as CBD, cannabis oil contains much higher levels of tetrahydrocannabinol, or THC. THC is what causes a person to feel “high,” and also leaves traces in a person’s urine and bloodstream. CBD oil, on the other hand, does not have these side effects. So I’ve been using a pure cbd isolate eliquid from SAUC to vape(3-5 hits from a rolo badge) morning and night(right before bed). My sleep apnea, which is pretty severe, is like gone.. I can’t explain it. I’m still in shock. My gf is off her SSRI and feeling great.. she uses drops.. this is magic. I’m a super skeptic .. but I’m SOLD on CBD, just make sure they use third party labs you can verify, and medical professionals and gov workers CANNOT use a full spectrum cbd, you’ll pop dirty, only isolate.